An emotional tweet the actor had appealed to the people of Pakistan to support him in efforts to free Sarabjit. Pakistan on Thursday released Indian prisoner Surjeet Singh. Earlier, reports had said that Pakistan was to free Sarabjit Singh, but later Islamabad clarified that it was another Indian prisoner named Surjeet Singh. Salman tweeted, "Requesting the people of pakistan to support me to help free surabjeet who has been in prison since 30 yrs . Please . Allah ka vasta. Request the to the awam of pakistan, member"s of the press, govt of pakistan, president zardari, a humble request. It would be the most amazing gesture, to send surabjeet back to his family after 30 years. Hope u support me like its your own cause." 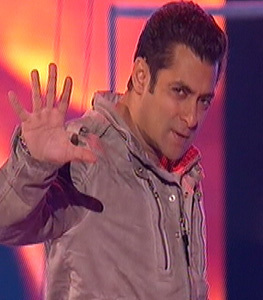 Salman also expressed his sorrow for Sarabjit's family. He tweeted, "B a part of 1 family's happiness. Wanted to tweet this for the longest time, saw a pic of surabjeets sister, it Killed me. Felt real sad for her. Help me help her. Its a personal request to all of u in pakistan to send sarabjeet bak to his family in punjab, hope u find it in your hearts to help." There were reports that Pakistan had freed Sarabjit, but later it was revealed that another Indian prisoner named Surjeet Singh, who has been in jail for more than 30 years, would be released. This caused a huge uproar in the Indian media and social networking sites. The daughters and sister of Sarabjit Singh, who has been in a Pakistan prison since 1990, on Sunday met Bollywood actor Salman Khan, who has been vehemently seeking Sarabjit's release. The 46-year-old actor has begun online campaign urging people to sign petition to free the falsely accused Indian. 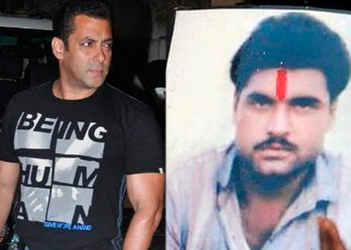 "Today, Sarabjit's sister and daughters had come to meet Salman. They had come on the sets of Dabangg 2 at Mehboob Studio," a close associate of Salman told PTI. 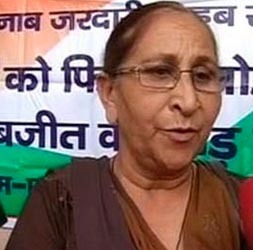 Sarabjit's sister Dalbir Kaur is actively working towards the release of Sarabjit. Sarabjit, who is married to Sukhpreet Kaur, has two daughters-- Poonam and Swapnadeep.